A San is a favorite choice among all foreign visitors who are on a lookout for a hotel of their choice, on account of the cost-effective services, we offer to our customers. 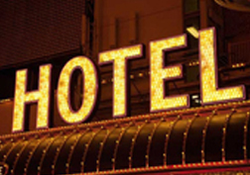 Be it, a luxury hotel or a budget hotel, our experts will provide the best solution to you. We Provide Hotel Services, Luxury Hotel Services, Suites, Premier Room, Executive Rooms, Superior Room, Standard Room and Basic room services. We have carved a niche for ourselves and our client base has reached to a considerable size. This indicates the progress, the company has achieved in this short span of time. This was made possible by complete dedication of our skilled & hard working professionals who are totally committed to the needs of our esteemed clients. Our team is headed by Mr. Rajat Thukral (M.D) who is assisted by Mr. Yashender Raj Gaur and Mr. Amber Singh (Directors, Planning), and Mr. Vishi (Senior Manager, Planning). A SAN Support professionals are spirited individuals with the limitless amount of determination and an ability to solve problems analytically without even revealing a trace of low self-esteem. We are always ready to solve any problems faced by our distinguished clients; whether it is an apartment issue, logistics, domestic services, transportation, food, business services or anything that our clients expect from us to deliver in the best way.